The other weekend while enjoying some rare snow this season, in Utah, I had the chance to listen to Bob Wheaton the President of Deer Valley Resort Company give a talk about his management techniques. 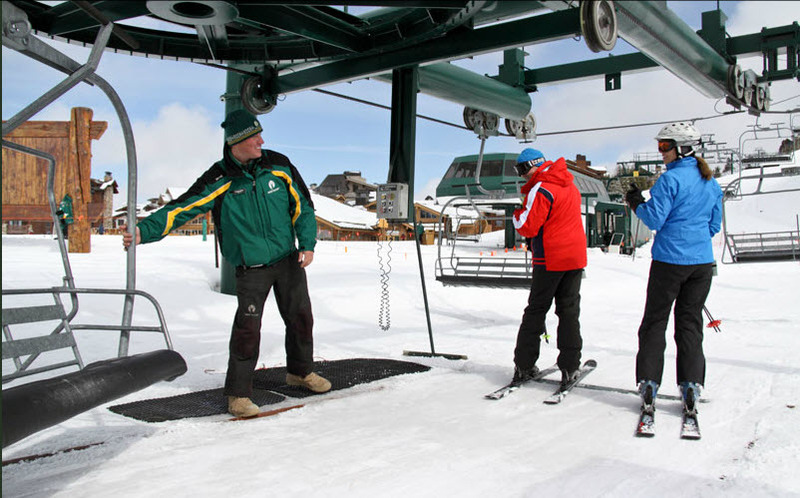 Bob started his career at Deer Valley as a ski instructor in 1981 and worked his way up through a variety of positions. He came across as a humble, straight shooting leader, and many of the techniques he mentioned were what you would expect from a modern business leader. He makes sure to hit the slopes daily to ask customers and employees how things are going. He has weekly stand-up meetings with his senior executive direct reports to synch up on operational issues. He sends regular broadcasts to all of Deer Valley Resort Co.’s roughly 2,800 employees and he routinely holds open office hours. One tool, however, struck me as relatively unique and powerful even though it is quite simple. It is a weekly meeting Bob calls the Managers Meeting. This meeting is for all of his direct reports’ direct reports, about 60 managers in all. Interestingly, Bob’s own direct reports are not there, so the middle managers are free from having their own bosses in the room. This serves to remove inhibitions about upsetting or upstaging your supervisor. The minutes of these meetings, however, are carefully transcribed and distributed to ALL company employees so the senior leaders are not in the dark or suspicious about what occurred in the meeting. The meeting is also large enough that it would be inappropriate and self-destructive to air personal grievances about one’s boss. It does, however, give middle managers a chance to be heard by the President in their own voice on a routine basis, and hear directly from the top rather than always through the filter of their supervisor. The fact that the meeting is held weekly means that issues get dealt with promptly and the frequency keeps Bob in touch with operational details he otherwise might not be exposed to. The weekly cadence means they get past the high level and into tangible and actionable topics. It struck me as an elegantly balanced yin-yang leadership method that is both effective and efficient, and would probably work in many other industries. I can say that the level of professionalism and smiling attitude of the Dear Valley team feels palpably different than most other resorts, and I suspect Bob’s leadership, and this particular tool, play a big part in that. 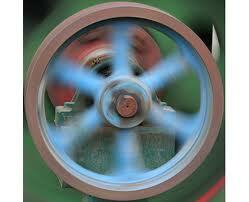 Network Effects are like a flywheel–the faster you spin it the more momentum you generate and enjoy. But not all markets lend themselves to Network Effects. They are not the same as Economies of Scale where “bigger is better.” To be certain, Economies of Scale can give strong competitive advantage and defensibility to the first to get really big (or Minimum Efficient Scale as the economists call it.) For example, SAP and Oracle benefit from having massive revenue bases which enable them to employ armies of engineers who develop rich feature sets and also to hire huge sales forces. However large these companies are today, though, their growth rates, especially in their early years, were far more modest compared to those Network Effect companies whose growth resembled a curved ramp off of which they launched into the stratosphere. Classic Networks, in which the value of a product or service increases exponentially with the number of others using it. Communications networks like telephones, fax, Instant Messaging, texting, email, and Skype are all examples. Metcalfe’s Law captured this as a simple equation where the Value of a network = N², where N is the number of nodes. Typically, each node in a classic network is similar to each other and possesses both send and receive capabilities. This will become clear juxtaposed against the other network effects below where there are different types of nodes. Other examples of classic Networks are social networks (eg Facebook) and payments (eg PayPal). Marketplaces, where aggregations of buyers and sellers attract each other. Lots of sellers means variety, competition, and price pressure, which all serve to attract more customers. And because the customers flock, more sellers are enticed to participate in the marketplace. 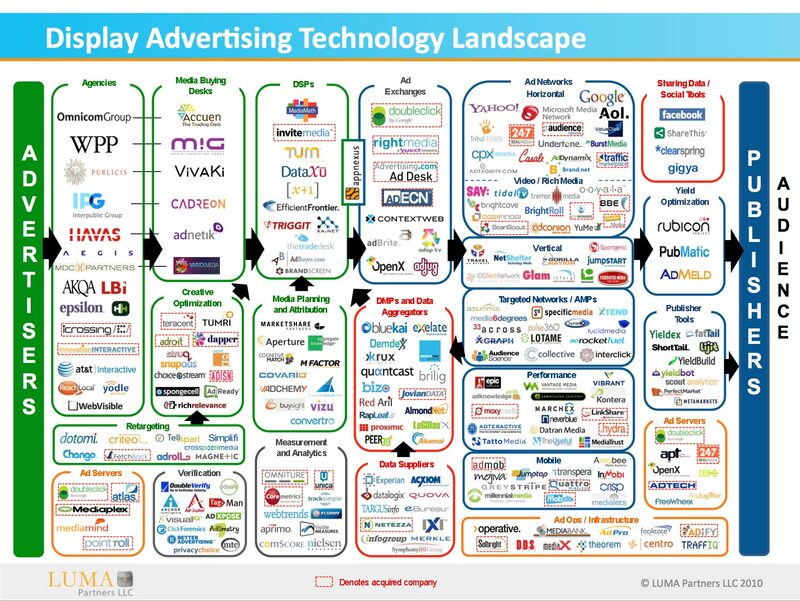 eBay, stock exchanges, and advertising networks are all examples. One nuance of marketplaces, however, is they differ in terms of the scale required for acceptable liquidity. For example, ad networks can achieve sufficient reach and liquidity at relatively low levels which is why you see thousands of online ad networks, where they each exhibit network effects but not in a winner take all fashion. Stock exchanges and payment networks require far greater scale for network effects to operate, which is why you see much greater concentration in these industries. Big Data Learning Loops. “Big Data” is all the rage in techland, but just having gobs of data is not necessarily a Network Effect, nor any sort of competitive advantage per se. What you really need is unique data and algorithms that process that data into insights which then lead to decisions and actions. A flywheel effect comes when you get a critical mass of data that you mine for insights; pump that value back in to your product or service; which attracts more users which get you more data. And so on. Venrock portfolio company Inrix is a good example, where they mine GPS data points to derive automotive traffic flow data. The more commercial fleets, mobile app users, and car companies they can get data from, the better their traffic analysis becomes, which gets them more users and hence more data. They turn data into an accuracy advantage that earns them the right to get even more data. Example include Operating Systems like Microsoft Windows, Apple App Store, and Amazon Web Services. Each of these four types of network effects can be extremely powerful on their own. Yet, even more power is derived when a business can harness multiple types of network effects in synergistic ways. Google, Apple and Facebook do this for sure, but a less well known example is Venrock portfolio company AppNexus that operates a real-time online advertising exchange and technology platform. The exchange aggregates advertisers, agencies, publishers and ad networks for marketplace liquidity, but also offers a hosting and technology platform for other AdTech companies and ad networks to augment their own businesses. And the vast troves of data AppNexus processes every millisecond flows back into the system as optimized and targeted ad serving. Network Effects are what you want fueling your business. Sometimes you just need to get clever about discovering and harnessing them. Have at least one colorful character on the panel. Conferences can be a grind, and lots of people find the most value is in the lobby, meeting people. For those willing to actually sit through your panel you want to entertain them as well as inform them if you expect them to pick their heads up from their smartphones and remember anything from the hour of so they give you of their (partial) attention. Having at least one spicy rebel on the panel that is willing to share provocative views and mix it up with the other panelists is key. As the moderator, get your panelists on a call ahead of time to brainstorm and interact with each other. This is your opportunity to figure out if you’ve got the right mix of characters and also form a plan for what you’ll cover and set expectations. Don’t procrastinate on this. Know your audience. Conference organizers purposely cast a wide net in their marketing and promotional materials so they can get the best turnout. Find out for sure who the bulk of the audience is really likely to be. Send questions ahead of time. Your goal as panel moderator is to make your panelists look brilliant, not to try and stump them so you look like the smartest person on stage. Give them the questions ahead of time and know who is likely to have the best answers for each of them. Keep intros brief. Maybe not at all. Most intros take too long and are pretty boring. If the conference materials have speaker bios, I personally don’t think there is any need to go into detailed introductions other than to identify who is who. 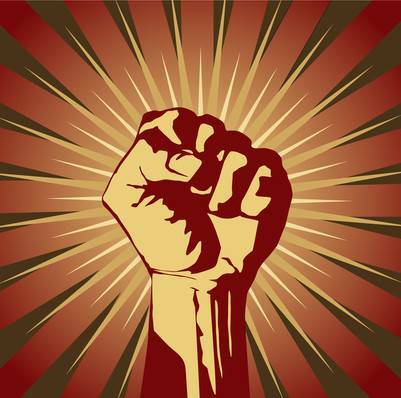 Use social media to promote, distribute, and even moderate in real time. Twitter, LinkedIn, Facebook, your blog, are all great ways to promote your panel ahead of time. SlideShare is a great way to distribute PowerPoint or materials afterwards. Set up a Twitter hashtag to solicit questions ahead of time and from the audience during the event. I’ll be using #hosprod as the Twitter stream for my panel. Feel free to send me questions ahead of time, and check for comments during the panel. Hit the hard deck, dig for details and examples. Give the audience reasons to take notes by getting granular. Force the panelists to get specific and give real information. Stir the pot. Incite a riot. A panel where everyone agrees with every point is boring. Elicit differing viewpoints and force the discussion to explore the conflicting opinions. This will likely be the most useful content, as well as the most entertaining. Avoid chair throwing. No crop dusting. It can be very monotonous when the moderator goes up and down the row asking each panelist each question. Pick your respondents strategically and use them for different purposes. Move on to the next question as soon as the topic has been sufficiently covered, regardless of whether everyone answered. Engage the audience, but moderate ruthlessly. Audience Q&A can be very useful and fun, but can also attract rambling questions, people shamelessly plugging their own company/viewpoint, or all manner of unexpected divots. It’s your job to be respectful but firm in keeping the Q&A on track out of respect to the rest of the audience. Watch the clock. The ultimate respect for your audience is to finish on time. Even if your panel is rockin’ and everyone is having a great time, you should finish within the allotted timeframe. If they still want more, they can follow-up with you and the panelists afterwards. If you are interested in attending the www.digitalhealthcaresummit.com enter the special key code VNRPR to receive the discounted rate of $695.00. You can also contact Cathy Fenn of IBF at (516) 765-9005 x 210 to enroll. Today I faced a choice. Should I go out and enjoy the beautiful weather and waves and go for a surf or should I blog about my favorite financial reporting tool? Seems like a pathetic question for a surfer to ask, or maybe this financial reporting tool is really that great. I’ll settle for an answer of “both”. 1. How are we doing against plan? Against what we thought last time we reforecast? 2. Where are we most likely to end up at the end of the fiscal year? 3. Are we getting better at predicting our business? Across the top row is your original Plan of Record. This could be for a financial goal like Revenue or Cash, or an operating goal like headcount or units sold. Each column is representative of a time period. I like monthly for most metrics, with sub-totals for quarters and the full fiscal year. Each row below the plan of record is a reforecast to provide a current working view of where management thinks they will wind up based on all the information available at that time period. Click the example below which was as of August 15, 2010 to see a sample, or click the link below to download the Excel spreadsheet. Periodic reforecasting does not mean changes to the official Plan of Record against which management measures itself. Reforecasts should not require days of offsite meetings to reach agreement. It should be something the CEO, CFO, and functional leaders like the VP Sales or Head of Operations can hammer out in a few hours. Usually these reforecasts are made monthly, about the time the actual results for the prior month are finalized. When you have an actual result, say for the month of August, $2,111 in the example above, this goes where the August column and August row intersect. On that same row to the right of the August actual you will put the new forecasts you are making for the rest of the year (September through December.) In this fashion, the bottom cells form a downward stair step shape (a shallow waterfall perhaps?) with the actual results cascading from upper left to lower right. You can get fancy and put the actuals that beat plan in green, and those that missed in red. You can also add some columns to the right of your last time period to show cumulative totals and year to dates (YTD). With or without these embellishments you’ve got some really powerful information in an easy to visualize chart. By repeatedly comparing actual to plans and reforecasts, won’t my Board beat me up each month if I miss plan or even worse, miss forecasts I just made? If you are a relatively young company, most Board’s (I hope) understand that planning is a best-efforts exercise not an exact science. Most Boards will react rationally and cooperatively if you miss your plan, as long as you avoid big surprises. By giving the Board updated forecasts you decrease the odds of big surprises because the latest and best information is re-factored in to the equation as the year progresses. They probably won’t let you stop measuring yourself against the Plan of Record, but at least you’ve warned them as to how results are trending month to month and course corrections can be made throughout the year. Won’t this take a lot of time? Hopefully not a ton, but it does take effort. However, it should be effort well worth it beyond just making the Board happy, because as a management team you obviously care about metrics like cash on hand, and this should be something you are constantly recalibrating anyway. The waterfall is the perfect tool to organize and share this information. Whether or not you agree this is the single greatest financial reporting tool ever, I hope you give it a try and find it useful. Now I’m going surfing….